Today Nutanix and Cisco have announced their support of the Nutanix Acropolis software solution on the Cisco UCS platform (C-series only). This is not an OEM deal, but a “Meet in the Channel” deal, where the partner is responsible for building and configuring the platform at the customer site. The sorry story of Cisco’s foray into the storage market is pretty woeful with Whiptail and Springpath. It is good to see them making a great storage decision for once. 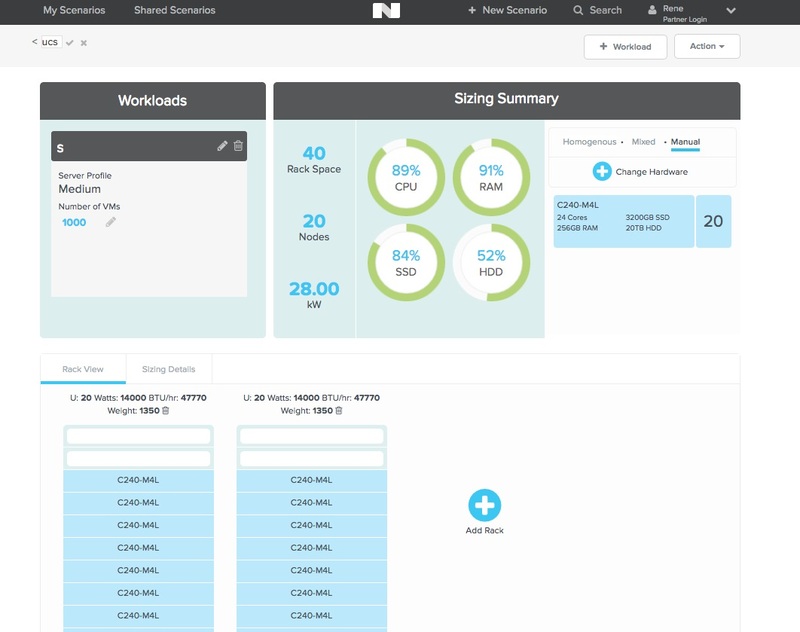 Albeit, Nutanix is more than Software-Defined Storage now with their Enterprise Cloud vision. For Nutanix, this is another server platform (Nutanix-Super Micro, Dell, Lenovo and Cisco) that comes under their software umbrella, spreading the goodness that is Acropolis. If you know nothing about Cisco UCS, read my configuration guide series here. Intended to reach customers who use Cisco UCS as their approved platform. This is a Cisco Certified Solution. Cisco UCS C-series Rack Mounted servers supported in Stand Alone mode (with Intel NICs) or with Fabric Interconnects (optional with Cisco VIC 1227). Cisco UCS C220-M4S (comparable to NX-3175) considered suitable for VDI. Cisco UCS C240-MFL (comparable to NX-8135) considered suitable for Server Virtualisation. Cisco UCS C240-M4SX Small Form Factor (SFF) (comparable to NX-8135) considered suitable for High Performance. ESXi 6.0, AHV and Hyper-V (exception C220 1U due to boot drive requirements) supported. Haswell and Broadwell CPUs supported. Regular drives and SEDs supported soon (qualification in progress). Minimum AOS 4.6.2, Foundation 3.2.1 and NCC 2.2.5 required. All-Flash versions will be supported soon (qualification in progress). GPU is not currently supported. Not an OEM agreement, solution is not built at the factory with functional software, this is done on-site. “Meet in the Channel” agreement, customer must call Nutanix or Cisco for SW/HW support respectively. Call Nutanix first for grey area problems. Cisco Partner is responsible for making sure the hardware is compliant when ordering the Hardware from Cisco. Cisco Partner will order the Nutanix licences from Nutanix. Cisco Partner or Nutanix Services will build and configure the solution for the customer. Hardware and Firmware Compatibility List available on Nutanix Support Portal. Customers can order this now from their Cisco Partners. Nutanix Sizer updated to accommodate Cisco UCS Hardware compatibility list. Configuration Maximums are the same as with current Nutanix offerings. Prism AOS and H/V One Click upgrades supported, F/W currently must be completed using UCS Manager (One Click in road-map). Bare-Metal UCS Nutanix install training material will be available on the Nutanix nu.school (MindTickle platform). Nodes can be configured as Capacity Nodes (like NX-6035C). As with all Nutanix solutions, mixed vendor clusters are not supported. Nutanix supports mixed Nutanix and Non-Nutanix workloads on the same Fabric Interconnects. During the Foundation process, candidate UCS servers are identified by serial number for bare-metal imaging. Cisco UCS Service Profile Templates for Nutanix Servers will be automatically deployed via the Foundation Tool. The UCS Manager UI details will take the place of the IPMI fields in Foundation. The Capacity Planner feature of Prism Central will not support Cisco UCS until later this year. Here is the Nutanix Cisco UCS Field Installation Guide for those that are interested in the details.